This is the second time the commercial will air on ESPN3 since it was produced last year. It first aired March 4, 2017. 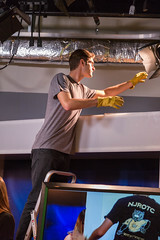 The commercial was created by The Unit, a special group of students selected based on their skills and creativity in production, directing, filming, and editing. The Unit was created by professor Dr. Alan Hueth in 2005 when he was working on a documentary and was in need of student assistance. Riley McQuown, a PLNU Media Communication junior, said she wanted the commercial to show what the day in the life of PLNU athletes is like. “I originally wrote a one minute script for the commercial, but the finished project was cut to 30 seconds and I am still very happy with how it turned out,” she said. The process of creating a commercial and bringing the script to life also comes with the creative help from a crew. 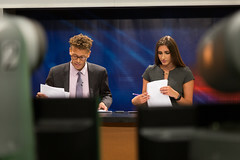 Analise Nelson, a Media Communication junior, directed the commercial and Nicholas Macedo, a Media Communication senior, was the producer and director of photography. 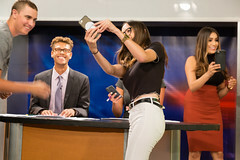 The Unit has produced many other projects including a short two-minute Cuisinart demonstration video, TV show pilots for Las Vegas hotel television channels, informational videos for local businesses, short documentaries for on and off-campus entities and short course introduction videos for PLNU’s online MBA program courses. The women’s basketball game tips off at 2:00 pm EST Saturday and the men’s basketball game tips off at 4:00 pm EST.